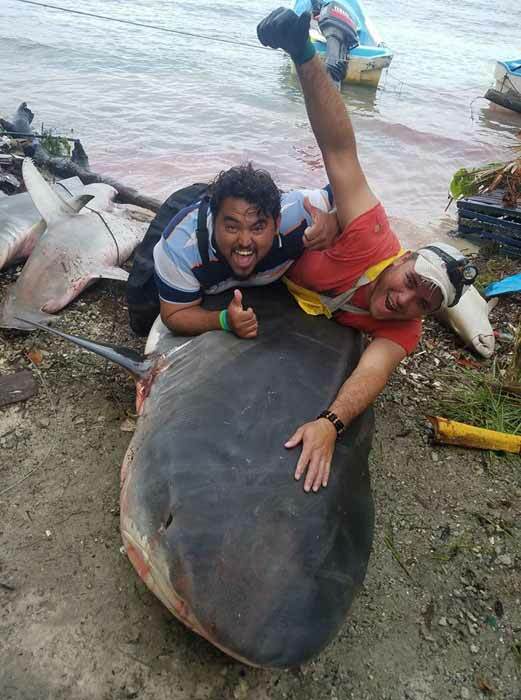 We are dismayed to receive these photos shared with us today of fishers who just recently fished, landed and mocked several globally endangered great hammerheads, a large, locally rare and putatively pregnant tiger shark and a nurse shark (protected species in Belize) on a caye in southern Belize. With the exception of nurse sharks and whale sharks, shark fishing may well be legal in Belize. BUT is this the image of a progressive and marine life and tourism-friendly Belize that we wish to project to the world? Moreover, any transport of hammerheads across borders to Guatemala (which is where the meat and fins go) is illegal as it contravenes the Convention on the International Trade in Endangered Species of Fauna and Flora (CITES) for which there is no completed assessment yet of the sustainability of hammerhead fisheries in Belize. Belize could truly become the shark and coral reef diving destination of the Caribbean IF Belize would conserve its sharks...that are also key to maintaining coral reef and finfish fisheries health. Let's be proactive and progressive. We can't have our cake and eat it too. Yesterday pictures surfaced on Facebook of two men posing with the dead sharks they caught in Belizean waters. 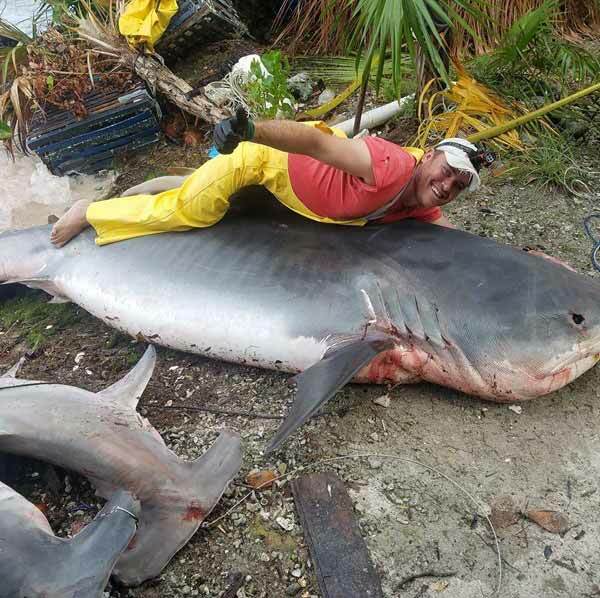 Even though the shark season is open Belizeans on social media were outraged at the pictures and the crass displays of animal cruelty. 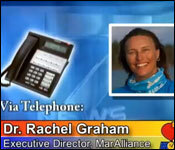 We spoke to Dr Rachel Graham from MARALLIANCE via phone today. She told us what's behind the outrage and the struggle our shark population is currently facing. "Well I think you know Belize is at a crossroads. We need to decide whether or not they want to protect some of these species or protect the fisheries moving forward. The fisheries are also in gross decline as well we work with traditional fishers and they are always coming to us saying you know what our lobster fishing was bad our conch fishing was bad populations are really low compared to what they used to be and so we are not saying don't fish. Definitely not, there needs to be a fishery in the country. A smart and sustainable fishery and in doing so you can't expect to use all gears and have a smart and sustainable fishery." "People come here to actually swim and dive with sharks so you have that and on the other hand what you saw in the pictures that were sent to us on Facebook which was the killing of the largest tiger shark we have ever seen it is a female and it looks like it is pregnant. If you ask divers around the country how many times they dived with tiger sharks they will probably tell you never. That is how rare tiger sharks have become in our region." "We used to fish turtles. We don't fish turtles anymore. We used to fish manatees. Right we don't fish manatees anymore. We used to catch, tarpons and bonefish. They are still getting caught of course because protected species still get caught by net, however, these species are recognized for being extremely valuable to the country much more alive than dead and this is where we need to get on with sharks." On October 31st the Belize Fisheries Department did send out a release stating the shark fishing is legal during its season and it will continue unless communities come together to campaign for its eradication.